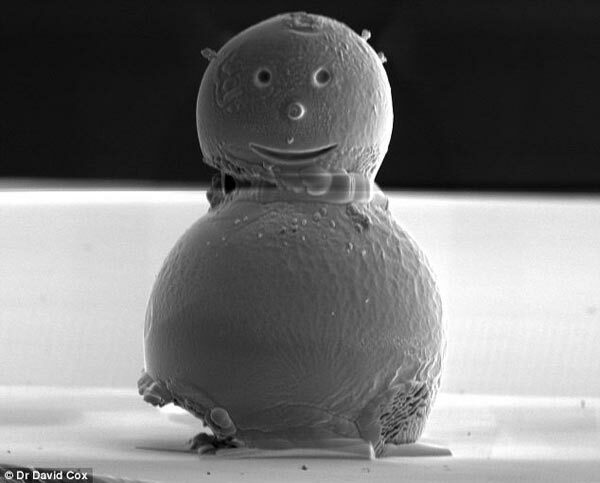 Engineers at the National Physical Laboratory have built the world’s smallest snowman, although it isn’t actually made out of snow, it was made by David Cox out of two tiny beads that have been welded together with platinum, which are normally used to calibrate electron microscope lenses. 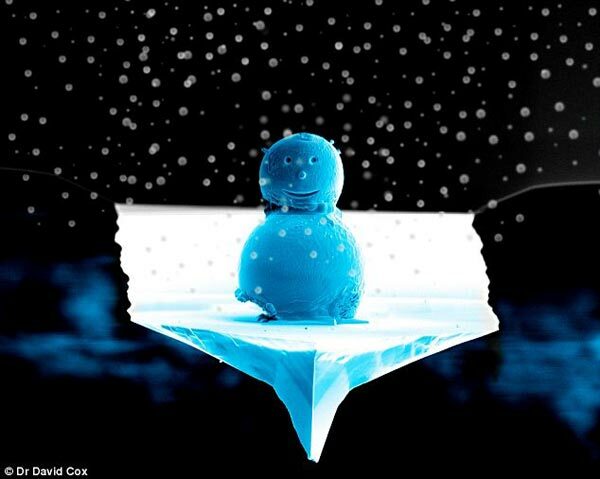 The tiny snowman measures 0.01mm thick, which is about one fifth the width of a human hair, and it was mad by manipulating nanotech particles. As you can see from the photos, it even has eyes, a nose and a smile which were carved from a focused ion beam, and a tiny piece of platinum was used for the snowman’s nose.